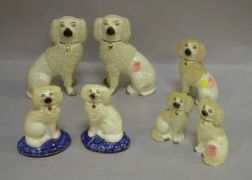 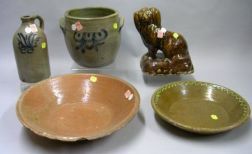 Two Pairs of Ceramic Pugs and Two Pairs of Staffordshire Spaniels. 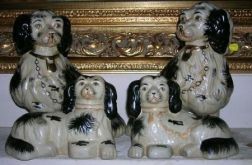 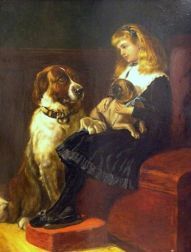 Three Pairs of Staffordshire Spaniels and a Single Spaniel Figure. 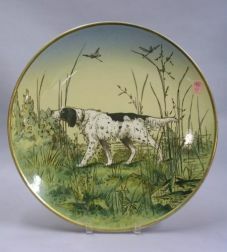 Attributed to R. Dellow (British, 18th Century) Portrait of a Sir Thomas Pope-Blount Baronet with a Spaniel at a Pond's Edge.